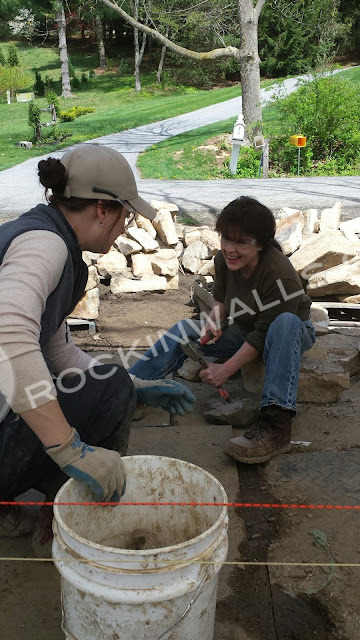 DSWA Certified Kim Coggin along with the assistance of Lisa Tuzo Rocked out an incredible all women's workshop at the Rockin Walls Training Center April 22-23 2017. 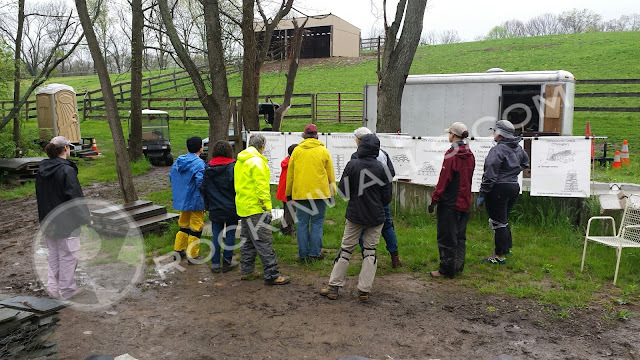 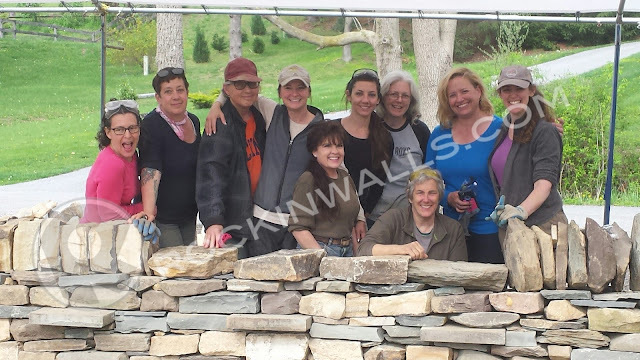 Eight women participated from VA, PA and Maryland. 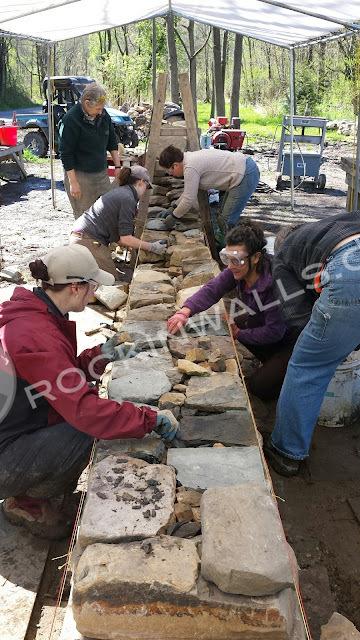 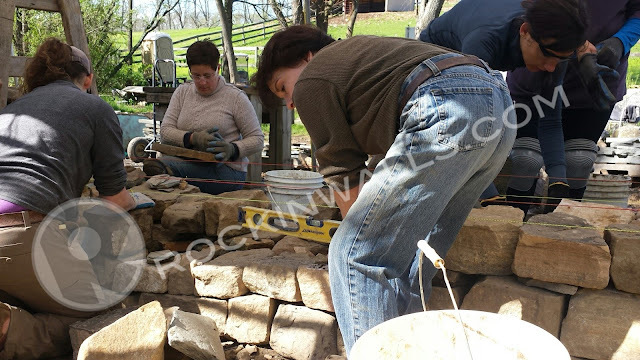 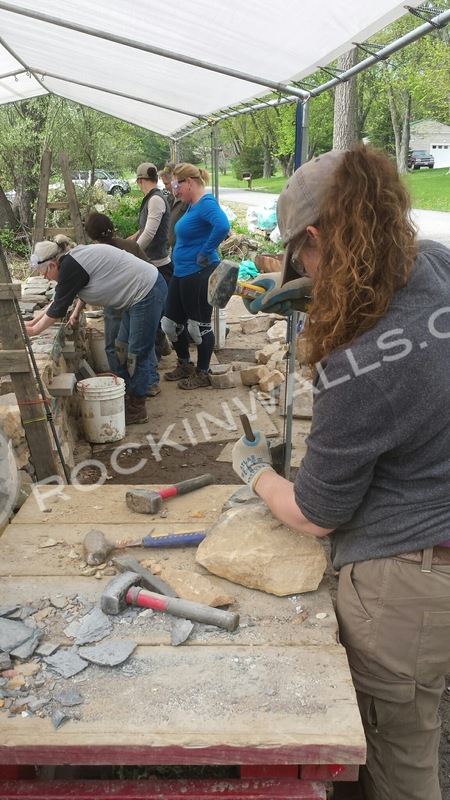 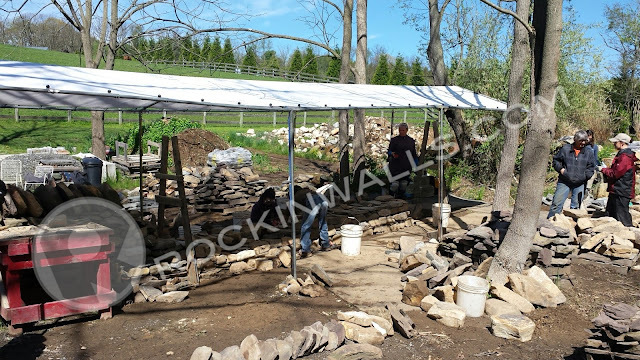 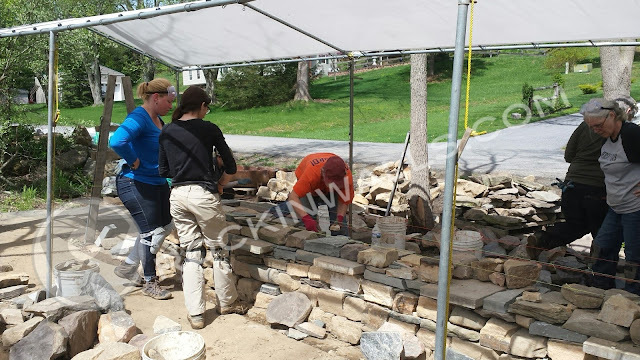 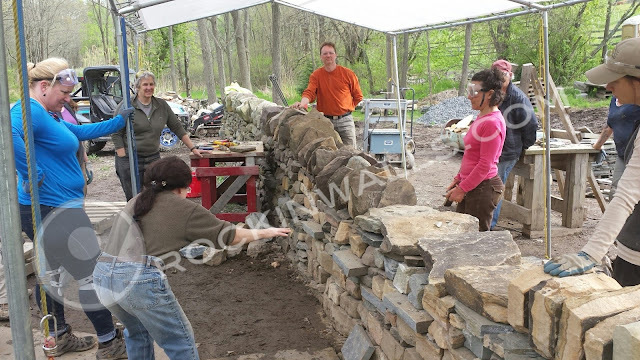 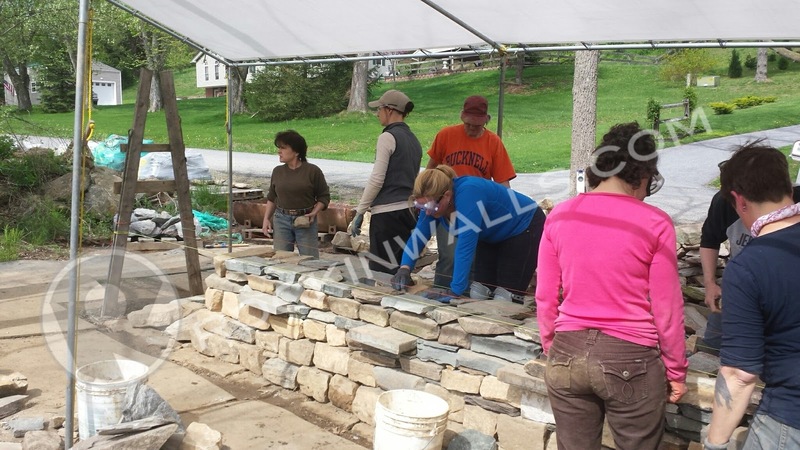 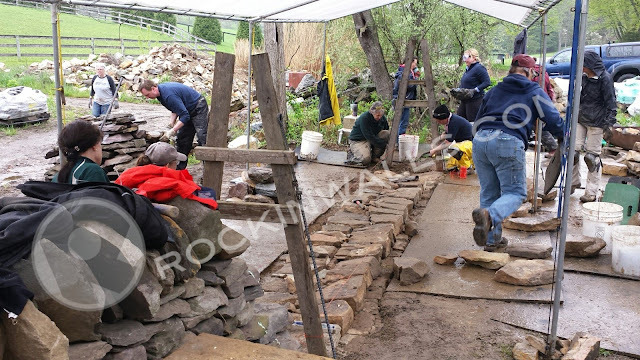 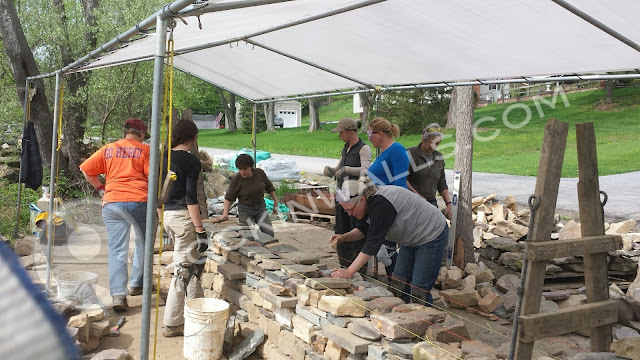 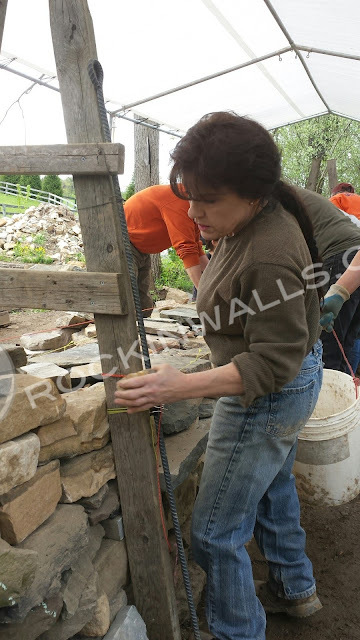 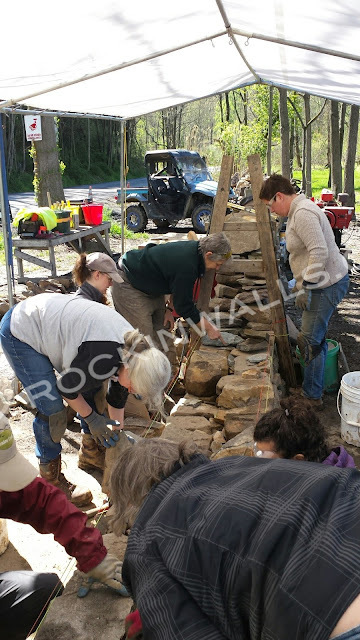 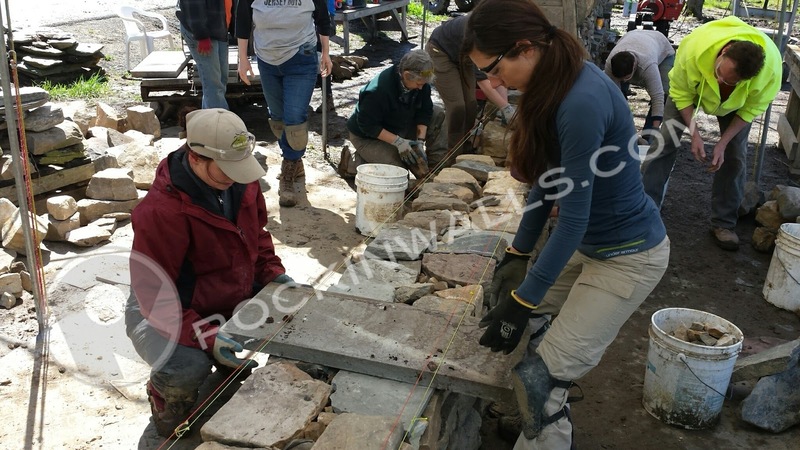 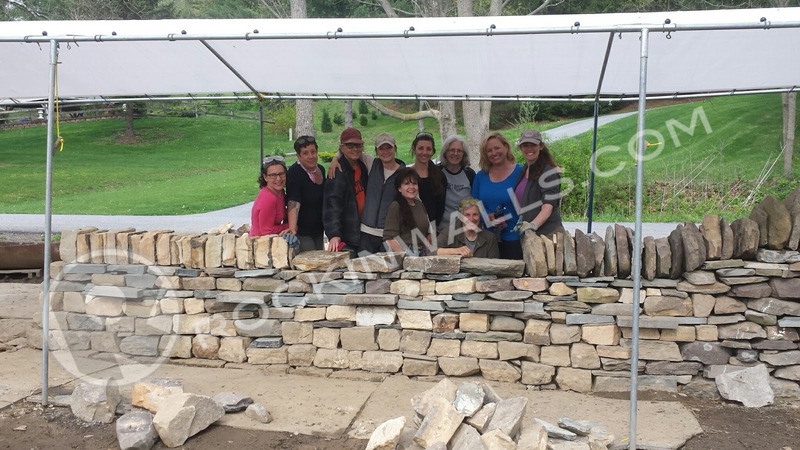 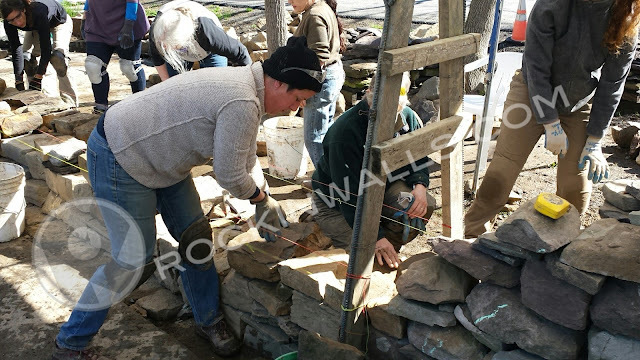 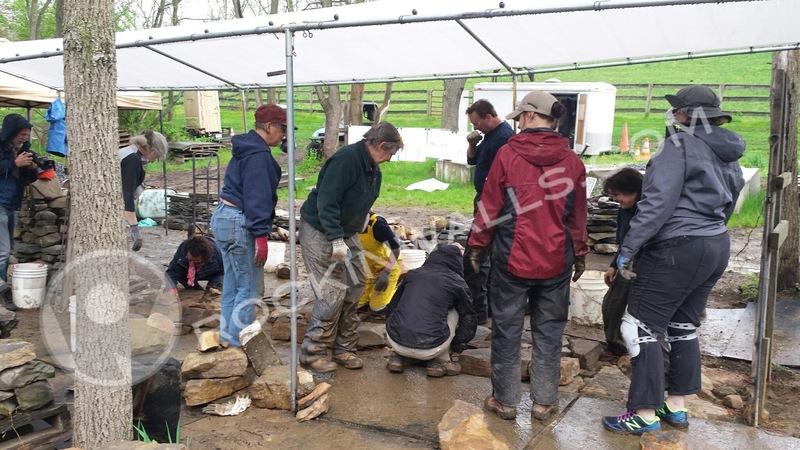 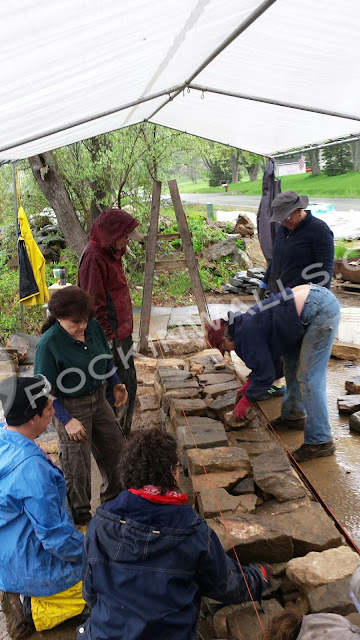 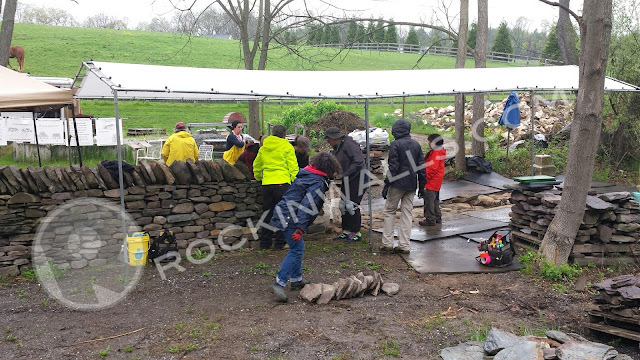 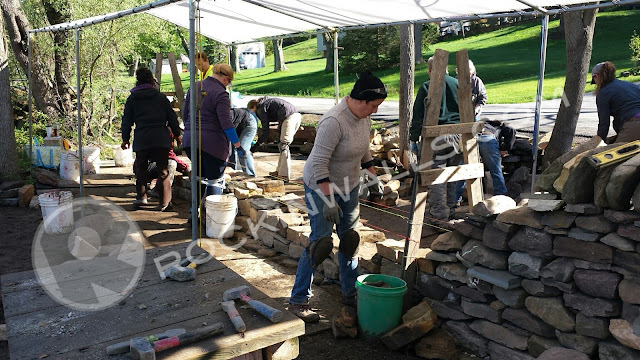 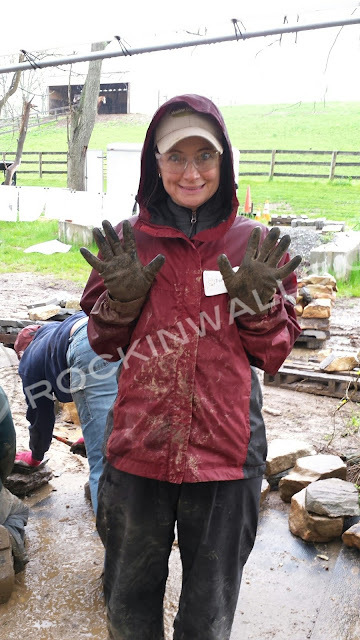 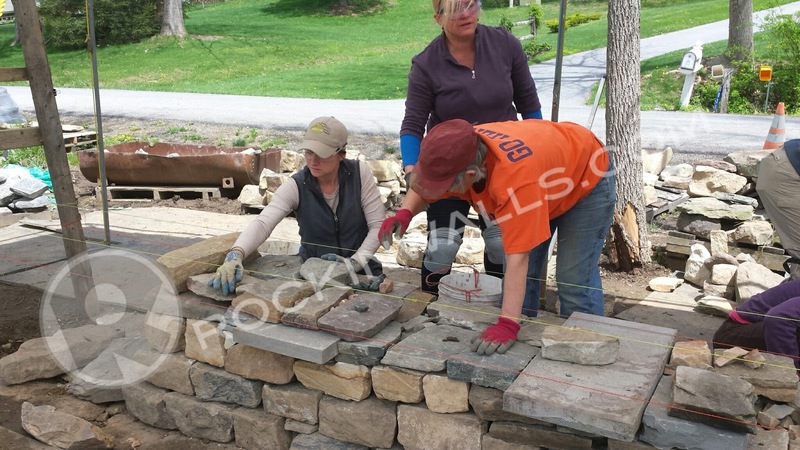 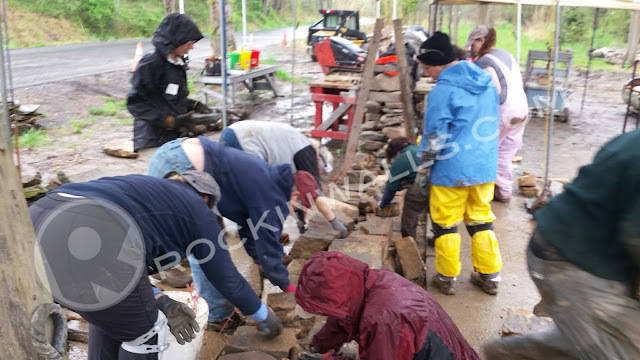 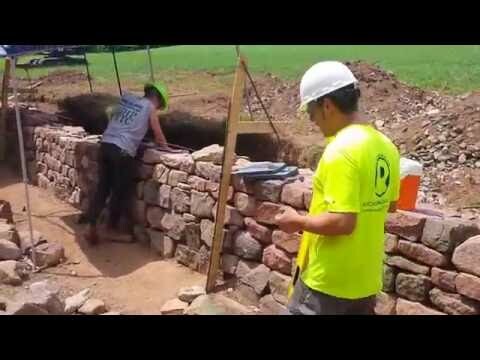 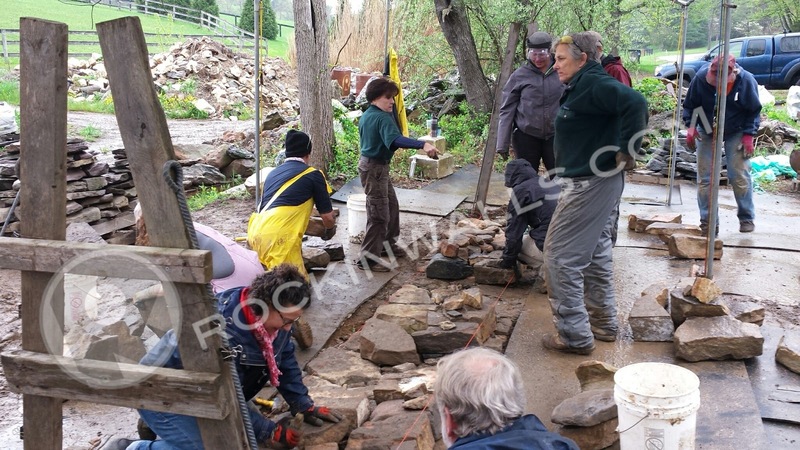 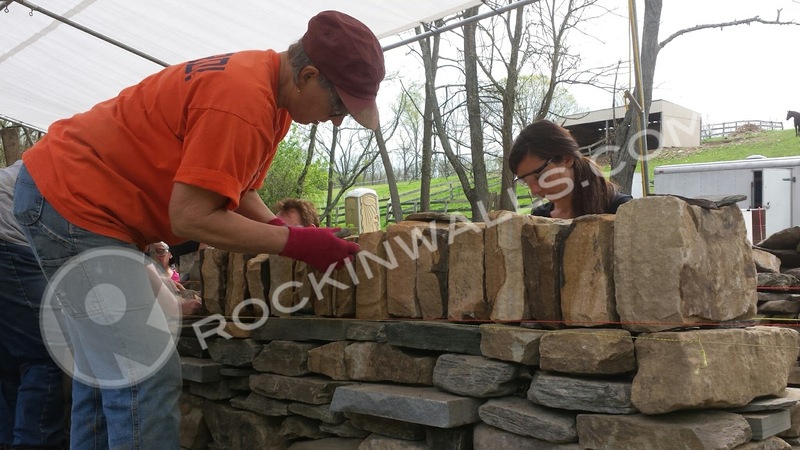 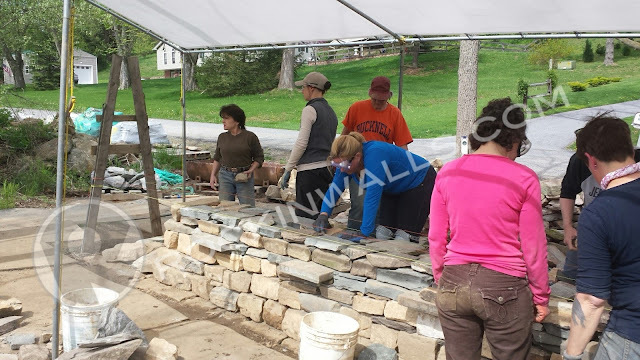 The 2 day workshop covered the key fundamentals of building a freestanding dry laid stone wall. 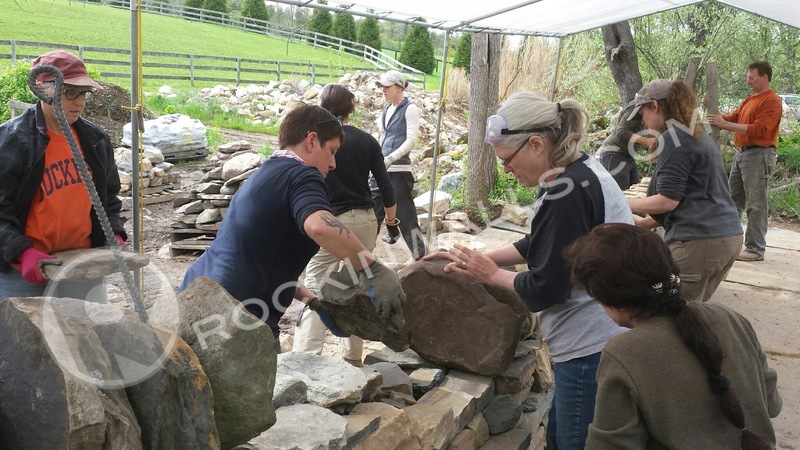 Including severally differently styles of copes and caps stones to finish off the top. 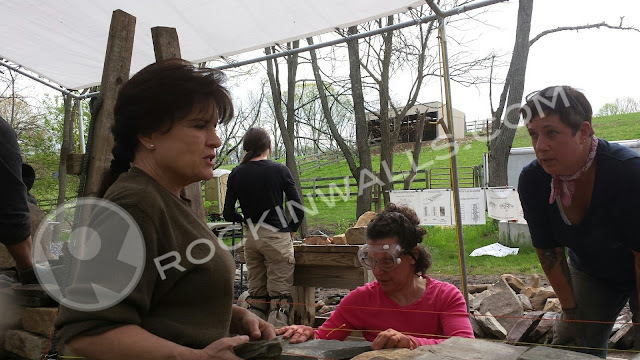 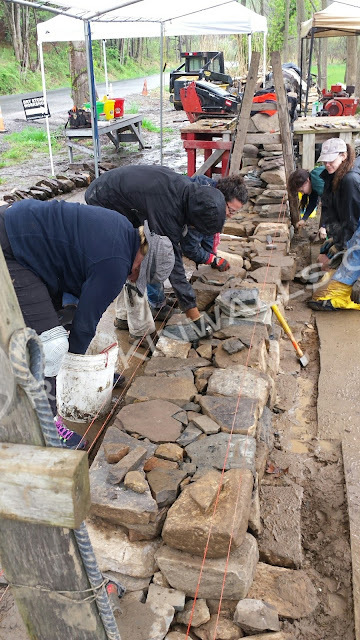 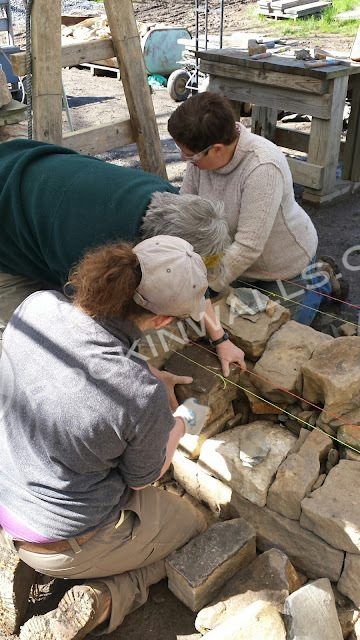 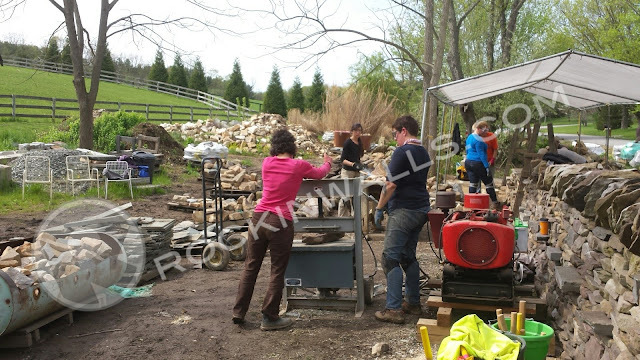 The workshop also covered some basics on stone shaping with tools, use of a portable stone splitter, different types of stone and so much more. Aside from the rain on Saturday to put a damper on the excitement. 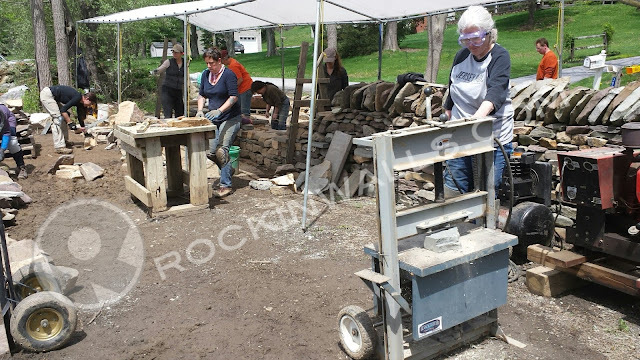 Sunday turned out to be a rockstar of sun in the fun with stone. What a great job everyone did to learn the proper methods Dry Laid Stone Craft. 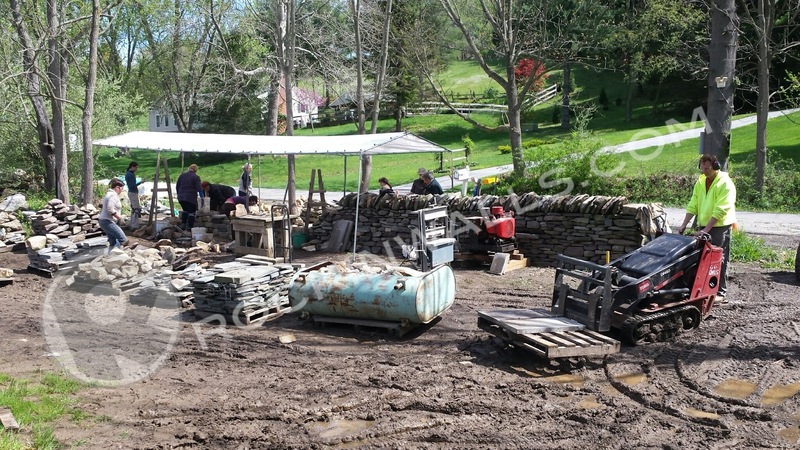 The photos below say it all! 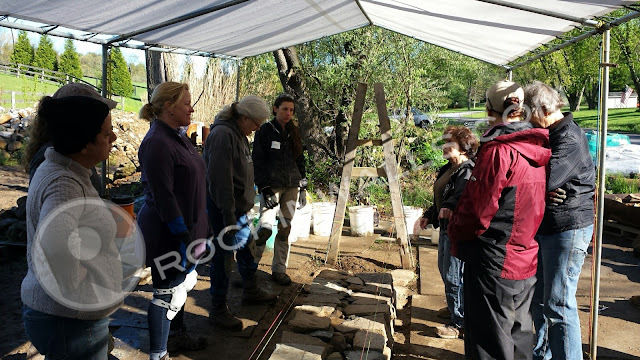 Thank you to Kim and Jerry Coggin, Lisa Tuzo and Teresa Perrera. 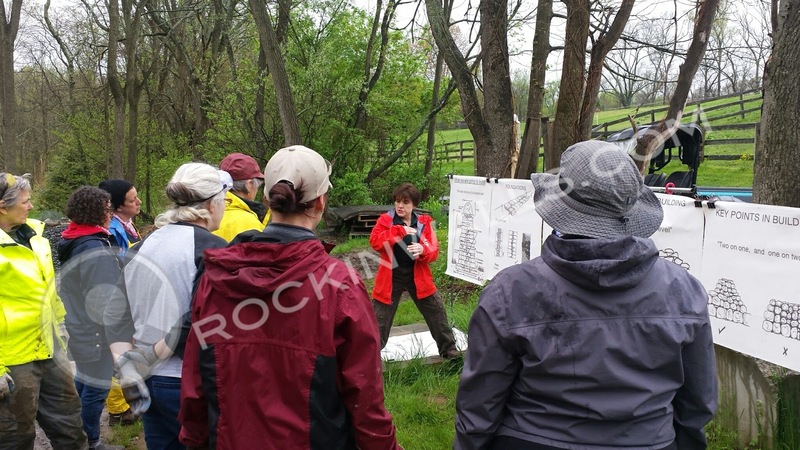 Read what the Carroll County Times had to say along with a great little video.